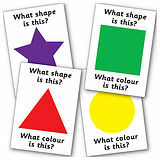 We have taken these easily recognisable shapes and colours and made them into stickers. 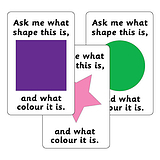 Use these stickers with younger learners to encourage them to interact with others, building their communication skills and reiterating to themselves the colours and shapes they have just learned.i.e. 'Purple Square'. 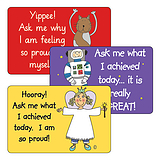 These stickers have been designed with the EYFS framework in mind.